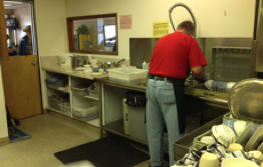 The Drop-In Centre is open Monday-Friday from 8:30 am - 4:00 pm, and provides a variety of volunteer opportunities. 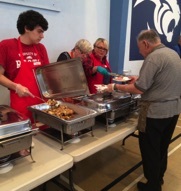 Volunteers serve breakfast and lunch to guests. In the afternoon, they also sort donations and generally restock, clean and tidy the Centre. If you wish to volunteer, please come to the Drop-In Centre to fill out the required forms, including a current Criminal Record Check. Volunteers are encouraged to interact and socialize with our guests throughout the course of the day. 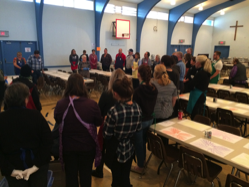 Call the Coordinator at 250-564-7871 to volunteer. 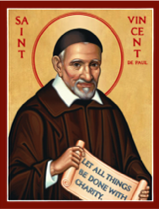 Below are short descriptions of some volunteer opportunities with the Saint Vincent de Paul Society in Prince George. 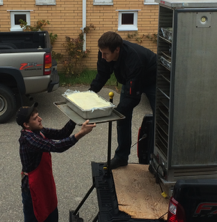 A group of volunteers prepares and serves sandwiches, coffee and snacks to guests. 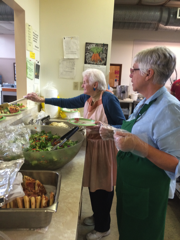 Wednesday evenings and Sunday afternoons are covered by the Soup Bus Society, groups of volunteers from different area churches who serve soup and sandwiches. Volunteers serve porridge, coffee, tea, toast with jam and peanut butter, and dry cereals. One staff member is on site on weekends and statutory holidays. The Drop-In Centre is open weekends and holidays from 9:00 am - 11:00 am. Call the Drop-In Centre, 8:00 am - noon on weekends (250) 564-7871 to volunteer. 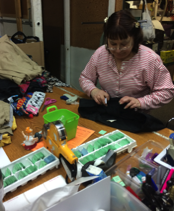 Volunteering at the store involves sorting and pricing items, cleaning, merchandising, assisting customers, and some sales opportunities. Sorting Nights are held the 2nd and 4th Wednesday’s of each month. 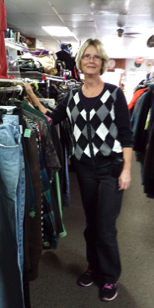 The Store is a great, friendly, and fun place to volunteer and we’re always accepting new helpers. Any amount of time that you can offer is appreciated. Please contact the Store Manager if you would like to volunteer or would like more information. A current Criminal Record Check is required. Call the Store Manager or Assistant Manager at 250 - 562-5136 to volunteer. 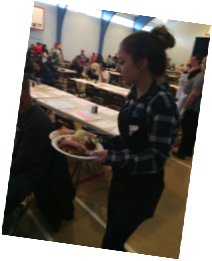 Volunteers are needed to help with the Easter, Thanksgiving, & Christmas Dinners -- setting up, serving, and cleaning up. Current information will be posted here and advertised as we near the dates for the dinners. Please check the Bulletin Board BLOG nearer to the dates for information about how and where to volunteer. 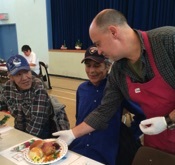 If you would like to volunteer to help with Easter Dinner 2019 please pre-register by calling Elaine at 250-564-7871 or Leslie at 250-564-7836 during the day, Monday to Friday. Many volunteers are needed in order to make the organization and distribution of hampers a success. Volunteers are needed to help fill the hamper boxes, and to deliver the hampers at the appropriate time. These activities will be happening in mid-December. When the date is set it will be posted here. The timeline of Volunteer Opportunities for Christmas Hampers will be found on the Blog. 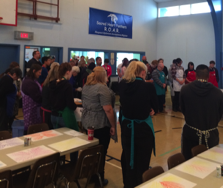 If you wish to participate please call the Drop-In Centre at 250-564-7871 to leave your name and contact information. Your help will be very much appreciated. 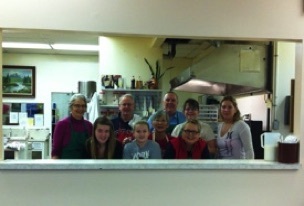 This group has been making breakfast one Sunday a month for 12 years.